The Batkivschyna faction has announced it pulled out of the parliamentary coalition, the leader of the faction Yulia Tymoshenko said at a briefing on Wednesday, according to an UNIAN correspondent. She said that the decision was made at a meeting of the faction on Wednesday morning. According to Tymoshenko, on Tuesday, during the voting for the resignation of the government, "extraordinary events took place and the secret was out." "On Wednesday morning, the Batkivschyna faction took the only possible step – the decision to pull out of the coalition," she said. "The situation that exists in Ukraine today is a consequence of the reign of a "shadow clan-political coalition." Therefore, the Batkivschyna faction considers it unacceptable to stay in this flock, which actually has no chance, because it doesn't want to carry out reforms, to defend Ukraine, restart our lives," Tymoshenko said. 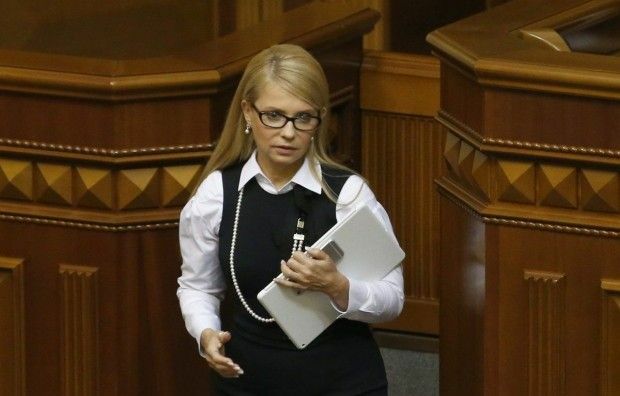 Tymoshenko called on all MPs, who have a responsibility to society, to leave the coalition. Tymoshenko also called on all active people to do everything for a complete restart of "the political situation in Ukraine." According to her, "if the political process is not restarted in time, if the clan-political consensus is not removed from the management of the country in time, the situation in the society can get out of control." "If we have uncontrolled uprising in Ukraine, including the number of weapons, which is in the hands of people today, we can just lose the country," Tymoshenko said. She urged Ukrainians not to allow any "revolutionary and rebel actions, which may lead to the loss of our state." As UNIAN reported earlier, the Verkhovna Rada, Ukraine's parliament, failed to score the needed number of votes for passing a vote of no confidence in the Cabinet of Ministers and refused to dismiss Prime Minister Arseniy Yatsenyuk. Only 194 MPs voted for the no-confidence with at least 226 votes needed to disband the government.